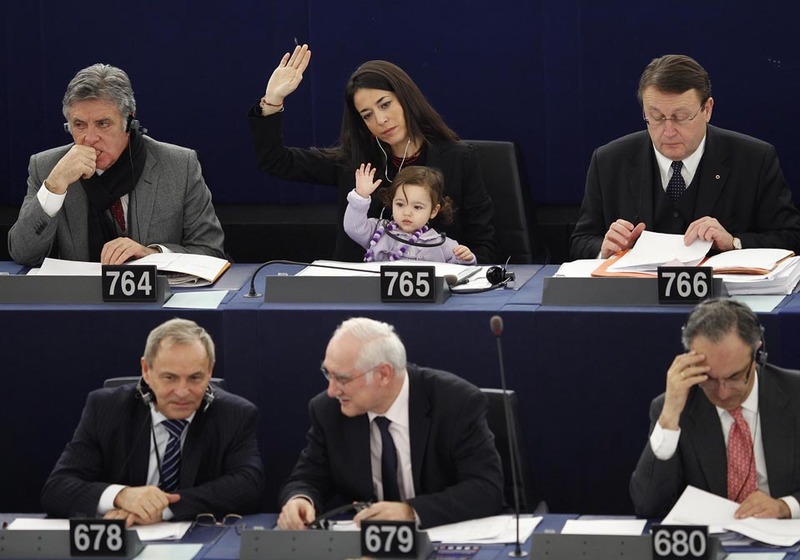 BRINGING HER DAUGHTER TO WORK: Licia Ronzulli, Italy’s member of the European Parliament, voted Wednesday during a session in Strasbourg, France, with her daughter in her lap. This entry was posted on Wednesday, February 15th, 2012 at 11:27 pm	and is filed under General. You can follow any responses to this entry through the RSS 2.0 feed. You can leave a response, or trackback from your own site.